In Steve Jobs’ self-titled autobiography, he said that he cracked the code of television and had an idea of a future where TV channels are accessed through apps. Though he did not live to this day to see his vision realized, his ideas have shaped the future of how we watch TV. Before he passed away, he left his plans to the current CEO of Apple, Tim Cook, which included a plan that would have made Jobs a pioneer of TV streaming services today if he was still alive. This and other major plans for the tech giant have been recently publicized in an announcement from Apple on March 25 at the Steve Jobs Theater in Apple Park. The announcement began with a retrofitted opening title sequence containing references to Apple’s history. Most of the services the company revealed are services that exist already, except Apple is offering high-quality content with all of their products as well as an easy-to-use interface. As with Apple’s previous announcements, Cook still has not fully explained the products, beginning with the first new service: Apple News+. Apple News presents news from trusted and credited news sources and it is finally available in Canada. With News+, they offer digital versions of magazines and newspapers in one place. Unlike Texture—the digital magazine app acquired by Apple last year, which is being replaced by this new service—News+ has live covers that make magazines more interactive. Next, Apple announced a credit card that has every feature one could want: Apple Card, which is pretty much an Apple MasterCard. It has no fees, cashback rewards that you can use immediately, and a function that tracks a user’s spending and gives advice on how to save money, which is a feature that some other banks offers through apps. The next two announcements were the biggest of the event. First, Apple declared that there will be a new section in the App Store called Apple Arcade where users have access to a catalog of games, including games that are made for augmented reality. They can be played on all devices, including the TV. 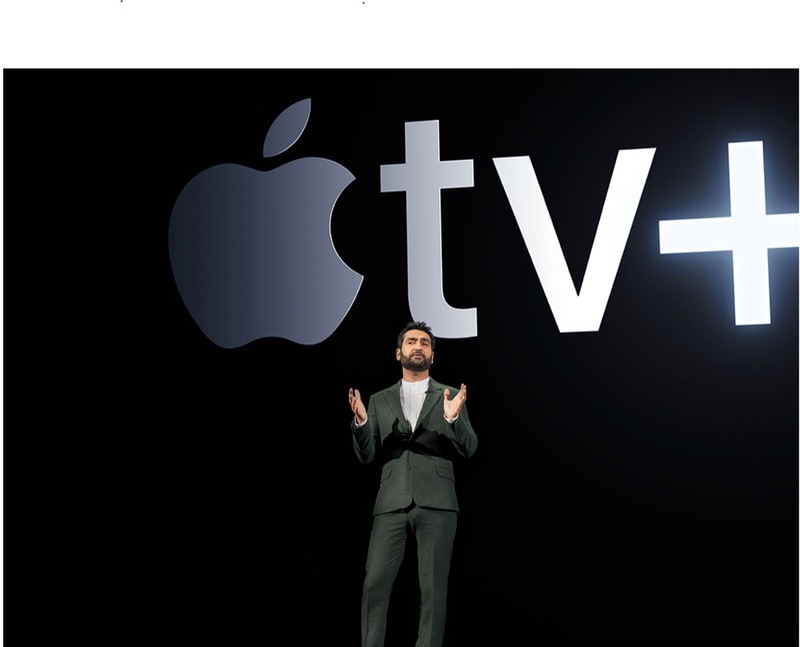 After Apple announced updates to Apple TV, which includes the product being available on smart TVs, Cook unveiled the service that everyone has been waiting for: Apple TV+. This is not the first time that Apple has offered original programming, since they have original music shows on Apple Music. However, Apple TV+ offers original shows that are made by some of the biggest stars and directors today. Apple TV+ will offer some shows that look interesting and some shows that will probably be cancelled soon after being aired. Some highlights include a romantic comedy called The Morning Show starring Jennifer Aniston, Reese Witherspoon, and Steve Carell; a time-traveling mystery produced by Steven Spielberg; a show about immigrants called Little America produced by Kumail Nanjiani; an unlikely collaboration between J.J. Abrams and singer Sara Bareilles called Little Voice; and the Sesame Street spinoff Helpsters. At the end of the Apple announcement, Oprah Winfrey made a surprise appearance and stated that she will also make programming for the Apple streaming service. This reveal is kind of like the iTV announcement I’ve been waiting to see. If Jobs were still alive and had made these announcements earlier, it looks like he would have been among the first to introduce almost all of the technology that we are using today.